Spring is hatching time. 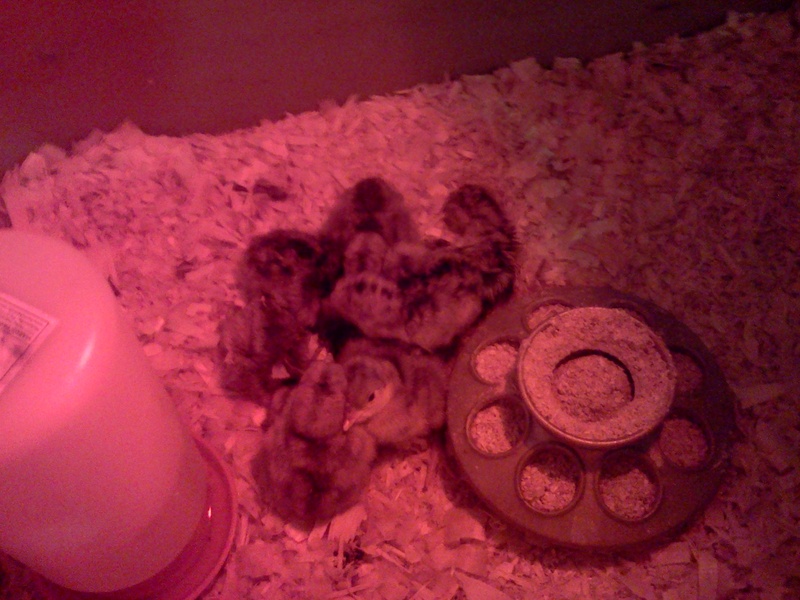 We had hoped our birds would hatch their own this year and we could hatch a few extras in the incubator. Unfortunately, something is still in the barn. We lost an entire duck nest and chicken nest right as they would have been hatching. There were no signs of eggs, shells, or babies. I suspect our villain is a rat or ‘possum living in the barn. Now that no one is nesting in the barn, the dogs have free reign of the area to root out the culprit. We picked up 200 chickens today at the local elevator too. 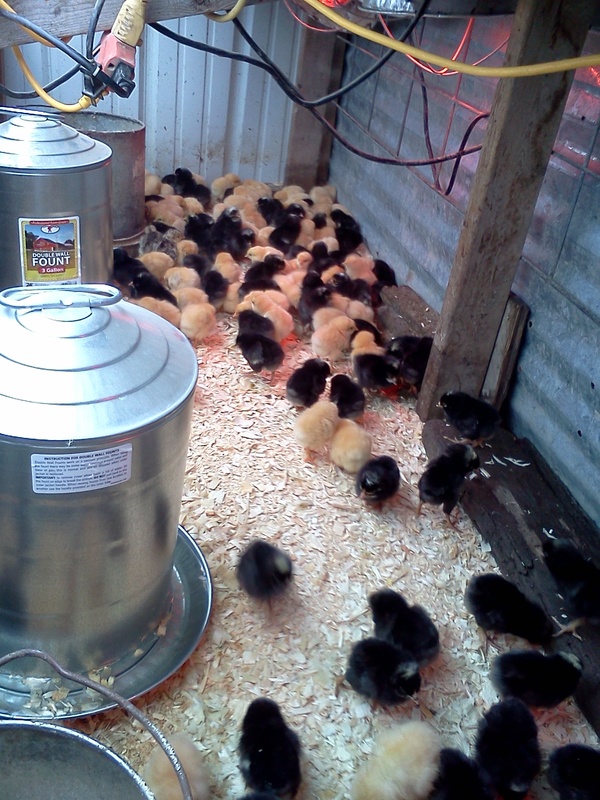 That makes 300 broilers growing up for our summer markets. That’s a good thing since we are now sold out of chicken. The next batch will be ready late July. This week we will only be at the Farm to Fork Market at Normandy Farms. Come see us Friday, May 16, 4:00 p.m. to 7:00 p.m. at 7802 Marsh Road. We’ll have lots of eggs and pastured pork. Betsy’s Kitchen will be bringing granola, granola bars, and Paleo Almond Delight Bars. Betsy will also continue to bring her Guinea Girl lotions, body butter, herbal salves, and lip balms. The Zionsville Farmers’ Market opens Saturday, May 17 at Main and Hawthorne. We will not be there this week. The Farmers will be attending the Farmers’ daughter’s graduation from Purdue University. We will be there each Saturday beginning May 24. Plan ahead for the 24th. We will also be at the inaugural Grow Local Roots event at the Indianapolis City Market Plaza from 2:00 – 4:00 p.m. This is sponsored by the Indy Action Group and will precede the March Against Monsanto. As always, we also sell our eggs and grass-fed meats at the farm. Full Circle Farm. Working with Nature. I love reading about farms, reminds me of home :-).